Arts Law was thrilled to take part in the fundraising event at The Funding Network on Thursday 28th March. 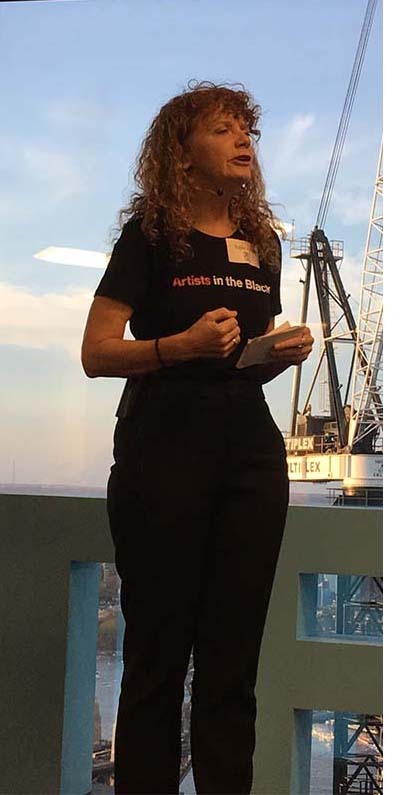 Thanks to the wonderful generosity of funders and donors, Arts Law was able to raise a fantastic $23,000 for the Artists in the Black service. This will enable us to visit an additional 6 art centres this year in the Kimberley’s, Arnhem Land and Far North QLD. It was also a pleasure to share the experience with Forever Projects and The SISTER2sister Program and hear their incredible stories. Together we raised $88,000! It is a true reflection of the generosity of all the people who attended and supported all the projects on the night. Thanks to the wonderful people at The Funding Network Australia for sharing this experience and allowing us the opportunity to share our stories with you.